The importance of winter sports clothing is high: In addition to excellent wearing properties, weather protection and functionality are required in the winter. In our range at Keller Sports you can find sports equipment and shoes from leading manufacturers. In our outlet we always have particularly attractive offers which you can order conveniently online. Here, you will benefit not only from a low minimum order value, but you can contact our staff with any questions via chat or phone. Sports clothing for the winter should be warm to keep the body at a comfortable temperature. 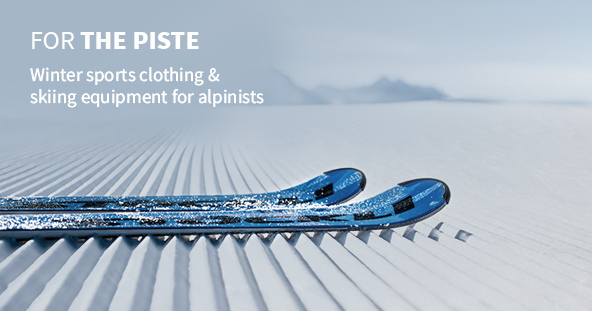 When it gets warm on the ski slopes the clothing should also wick sweat away from your body. This function is important. 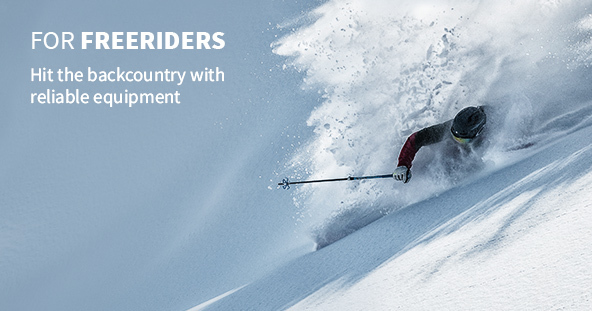 If you participate in winter sports you should adopt the principle of an onion and have many layers of sportswear. 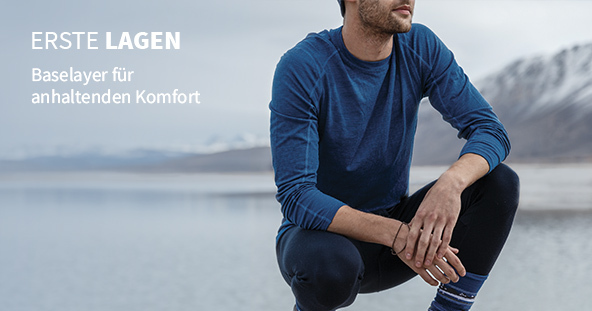 The winter warming baselayer should be in direct contact to the body where it can wick moisture to the outside, not absorbing. The insulation layer should provide a pleasant heat and you must also wear a long sleeve shirt or a hoodie. You should also wear a comfortable and functional jacket that will protect you from outside influences. Even in the strongest winter snow storm, you are well advised to wear a cold and snow-repellent performance jacket from our range. Complete your sports clothing for the winter with functional trousers that should sit snugly and comfortably. In addition to comfort and wear ability, design plays a crucial role. 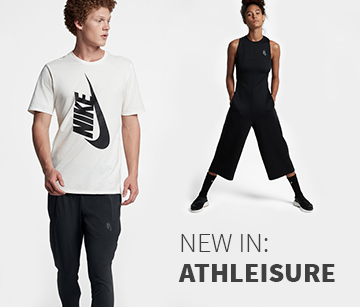 Explore our shop and let yourself be inspired by the latest fashion trends. If you're in the mountains, in the snow or participating in other outdoor activities, high quality sport shoes are the icing on the cake for your sports equipment. We have well known sports shoe manufacturers which offer a safe appearance and guarantee your comfort even in extreme weather conditions. Breathability, light weight and a grippy flexible sole provide the best conditions for a successful stay outdoors. In addition, sport shoes for the winter should have moisture resistant material. 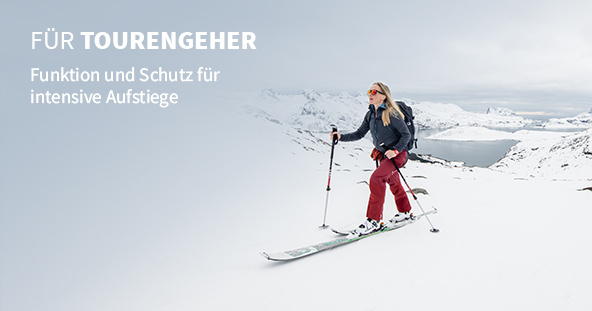 At Keller Sports you can also put together a stylish and functional outfit for winter sports. Look around you and become free. You can also order with fast delivery!